These records are the registration cards for over 600 immigrants to Britain, known as ‘aliens’ in the legal terminology of the time, who arrived between 1918 and 1957. They cover the London area only and include British-born wives of aliens, who lost their British status upon marriage. These cards are drawn from The National Archives series MEPO 35 which covers aliens resident in London from 1914. The cards available for download here represent just a sample of the tens of thousands of cards that were issued. Although the cards are a small sample, they do include some notable cases, including Joe Coral the bookmaker (MEPO 35/16/2). You can only download a card if the person in question was born more than 100 years ago. Aliens were legally required to register with the police from 1914 onwards and to pay a registration fee. In return they received a certificate. 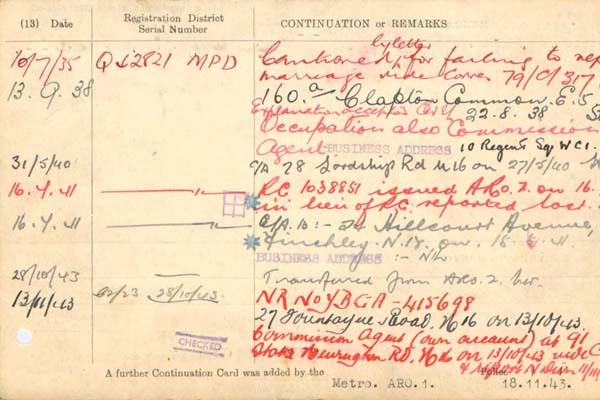 The documents we have digitised are the registration cards created by the police. 2. What information do the records contain? The cards usually include at least one photograph and for most cases there are continuation cards. When searching by last name, you can use last name at birth if different, or alias. The cards are in different colours – blue cards were for males, yellow for females and white for continuation cards (for both males and females). The first example shows us the alien registration card of Joe Coral, founder of the famous British bookmakers. 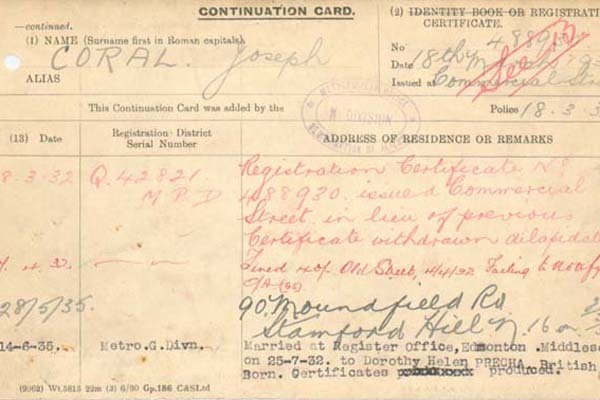 It features the typical head-and-shoulders photograph found in these registration cards. 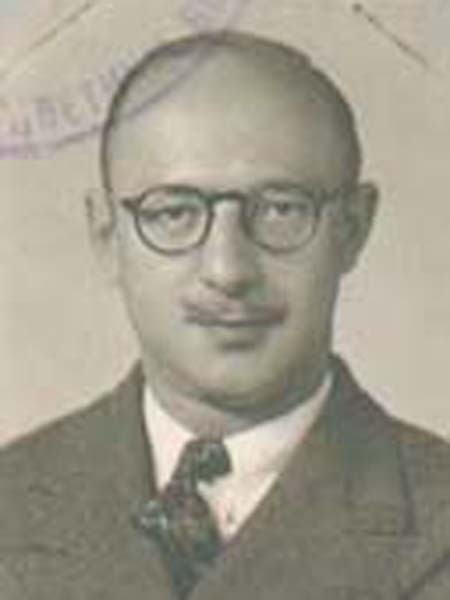 It also reveals that he was born in Warsaw in December 1904. The second example is his continuation card for 1932-1935. In the ‘Remarks’ column it shows that in 1932 Joe Coral was fined for failing to notify the police of change of address. It also gives some details about his marriage in July 1932. The third example covers 1935-1943. Coral was cautioned by letter in 1935 for failing to report the marriage which took place in 1932. By 1938 he declared his occupation as Commission Agent. The last extract from Joe Coral’s cards shows that in 1943 he was cautioned again by letter for failing to notify an intended change of address. 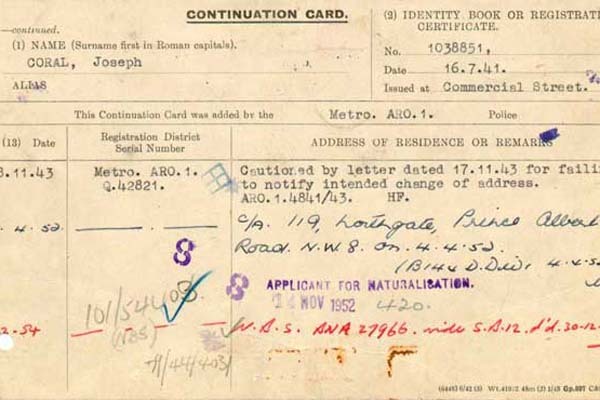 The details on the cards continue until his application for naturalisation in 1952.